B U B B L E G A R M: Hallway Inspiration.. I saw this image on My Bella Decor and immediately fell in LOVE. I love the colours and delicacy of the accessories on this shelf, something like this under the mirror would be great. 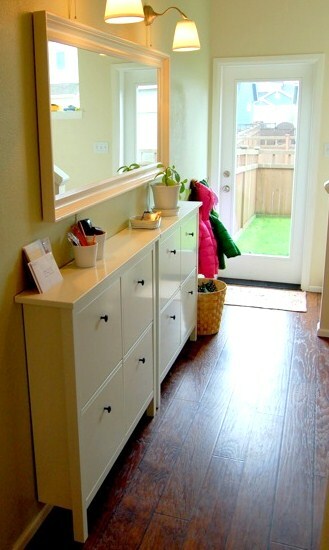 Or, I can get a Hemnes shoe cabinet from Ikea to go under the mirror, which will still give me a space to put things on as well as store some shoes. Furthermore, I can scrap that idea and just put a small table or stand under the mirror and decorate it with some accessories and plants. 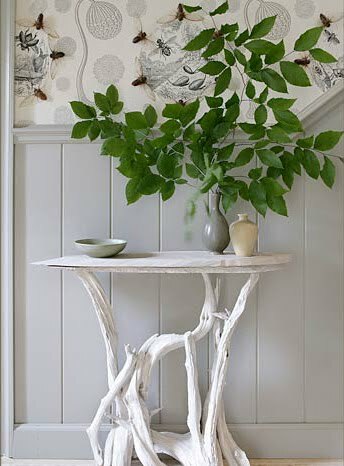 I am on the lookout for a rustic vase similar to this one! P.S. Check out this awesome interior style blog: Stylizimo. Are you inspired to liven up your hallway yet? I will let you know how my hallway turns out after I am done, I'm going to aim to get it finished before the new year. Go me! The second picture is perfect and cosy! Love all the candles and muted colours! rustic is definately a good look! Amazingly pretty! I love the shoe cabinets. 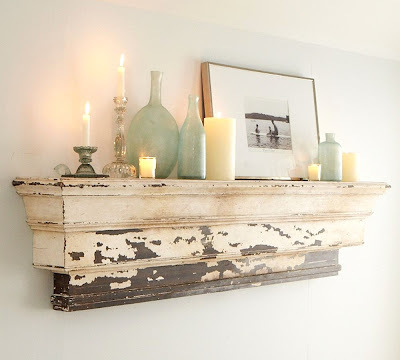 I love the rustic shelf. It looks absolutely beautiful and fits in with your whole theme! @Stylizimo No problem, I have been on your blog all last night and this morning, I am going to get a dymo machine, the jars from ikea, and some stencils all thanks to you! that is absolutely lovely decor! The first picture is so gorgeous - I love the delicate colours. I can't wait to get out of student accommodation and decorate a house beautifully!